It's always uplifting to see new developments intended to help us with our down time. We've written several times about opportunities in sleep and CCS Insight's primary consumer research has shown that it's an area people want to track and optimise (see Sleep: a New Activity Area). Here's a new bedside device that aims to help people become better sleepers. 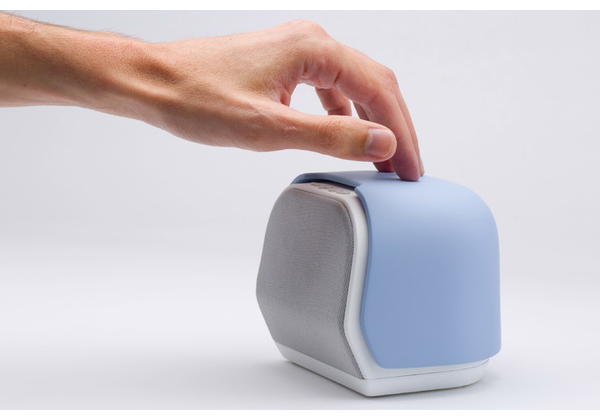 Resembling a small radio, Kello is a sleep trainer that monitors sleep patterns. Rather than using on-body sensors to track a user's sleep, Kello Labs, the developer of the product, claims it trains the body to breathe matching a light pattern the device emits. The alarm clock also plays relaxing music or white noise to send the body into sleep faster. Kello Labs, based in Hong Kong, recently launched a Kickstarter campaign with a crowd-funding goal of $50,000. With three days of the campaign left, Kello has raised close to $300,000. There's interest in sleep. Although smartphones are often used as alarm clocks, they can be considered a distraction in the bedroom, disturbing sleep. In many ways, Kello's smart clock is about getting back to basics: no smartphone or Netflix before bed and no need to press the snooze button in the morning. The clock offers a variety of programs to gradually change sleep habits. For example, to wake up an hour earlier, Kello will set the alarm a few minutes earlier every day, allowing the body to slowly adjust over a period of time. Kello Labs claims its product can also help offset jet lag by gradually tweaking the body's internal clock. Kello's alarm clock is also compatible with smart home devices such as Samsung's SmartThings Hub and Philips' Hue system and can automate morning rituals, such as brewing coffee or closing blinds. The alarm clock can also stream music from services like Spotify and Deezer. It's available on Kickstarter for $109 per unit, with delivery expected in March 2017. Kello is certainly not alone in addressing the market for sleep. Fitbit, Jawbone, Samsung, Withings as well as other start-ups offer products that monitor sleep quality. Kello Labs claims its product can train the body into better sleep patterns. It's a therapeutic assertion and encouraging for many to realise such products are being developed. Sleep is a happening area.